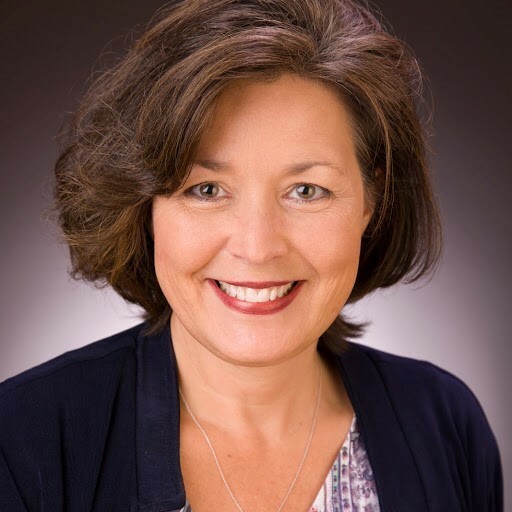 Bettina Sonen, RN, CCDS, is a clinical documentation educator at Northeast Georgia Health Systems (NGHS) in Gainesville, and she is a member of the Georgia ACDIS local chapter. Sonen: I’ve been in this field since 2006 when our facility started its CDI program. I came to NGHS in 1985 as a surgical nurse. I initially left bedside nursing to move into the concurrent review department (nurses who coded concurrently, discussed the coding with the physicians, and had them sign attestations as to the accuracy of the coding, back when CMS required it for billing). This department, in time, evolved into case management. I can remember piloting case management on a medical floor during the early 90s. As the department picked up additional duties, concurrent coding was left out and coding fell back to the health information management department. Sonen: The coding was my favorite part of the job, so, when NGHS implemented a CDI program, my director asked me to join the new team. ACDIS Blog: What has been your biggest challenge? Sonen: I don’t like confrontation (who does? ), but I’m a wimp, and those initial conversations with physicians were hard. When providers didn’t know what CDI was all about, many felt we were trying to tell them what to do. So, taking that leap into the CDI educator role put me in the spotlight again when it comes to providing education to physicians. We are now part of the orientation process for new providers, where we explain how they can answer our queries and let them know how CDI can help them..
ACDIS Blog: What has been your biggest reward? Sonen: Since our hospitalists are our biggest provider group and touch the most records, we focus most of our education on them. The hospitalists have in turn been great role models for excellent documentation to their peers. The quality of documentation from “doing well, continue current treatment” on a handwritten progress note, to a detailed problem list with assessment and plan documentation for each diagnosis, has been rewarding to see. Their administration gives the hospitalists feedback on their CDI statistics monthly. Recently, a hospitalist called me his “documentation mentor!” I thought that was a such a great pat on the back. ACDIS Blog: How has the field changed since you began working in CDI? Sonen: We went from a seven-day a week schedule, printing a daily hospital census sheet to search for our patient population (Medicare only) to review, and standing with our laptops at the counter at the nurses’ station (because there was no room to sit) to hunt for and review each hard copy record. We would type up a worksheet and queries for each patient that we printed and placed on the chart, all while watching for those specific physicians to provide documentation pearls and discuss queries as they passed through trying to avoid us. We had to forge a new relationship with coders while reconciling every record. All the while, there was a feeling of isolation; we didn’t have any contact with peers out there, except from our consultant firm—a group of suits that trained us, audited us, and provided feedback comparing us to those “peers” somewhere out there, which always seemed competitive and punitive. Now, we have a Monday through Friday schedule. We’re remote three days a week to review completely electronic records, and we’re on campus one or two days per week (provided we maintain our productivity statistics). There are still a few difficulties with level loading patient assignments, but we have increased our reviews to almost all payers. We have a daily CDI huddle, with those who are remote Skyping in. On-campus days involve a trip to our assigned nursing units to post education on our CDI board and check in with the medical staff who are on the floors for interdisciplinary team rounds. We notify the hospitalist by secure text to give them a heads up when we have sent them an electronic query. Coders send any DRG mismatches to our queue for our input before billing. Query reconciliation is much easier, although there is still room for improvement—assigning the correct physician response and impact can still be tricky. We now have many CCDS holders on our team and we make time to be a part of the ACDIS community. We can now compare ourselves and relate to our peers out there. We are not alone! Sonen: Probably our earliest contact with ACDIS was researching compliant queries. Now, the ACDIS white papers, Journals, quarterly calls, and also the webinars have provided us with so much useful information and educational content. It helps us keep up with the pulse of CDI as it expands. From the last ACDIS conference, I found that one thing. We are developing our own CDI audit tool to begin this year. We wanted something that would be educational, and report accurately. 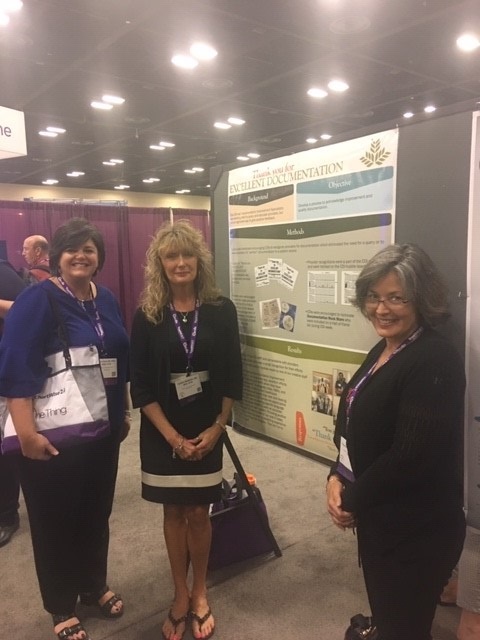 Our director, Linette Owen, is using the outpatient CDI information she has learned to help our accountable care organization outpatient coding department improve hierarchical condition category capture rates. ACDIS Blog: If you have attended, how many ACDIS conferences have you been to? What are your favorite memories? Sonen: I have attended the last two national ACDIS conferences. 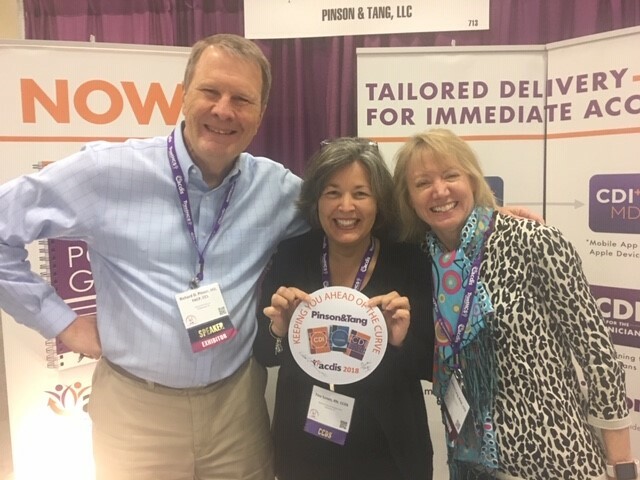 One of my biggest thrills was meeting Dr. Richard Pinson and Ms. Cynthia Tang, co-authors of the CDI Pocket Guide. 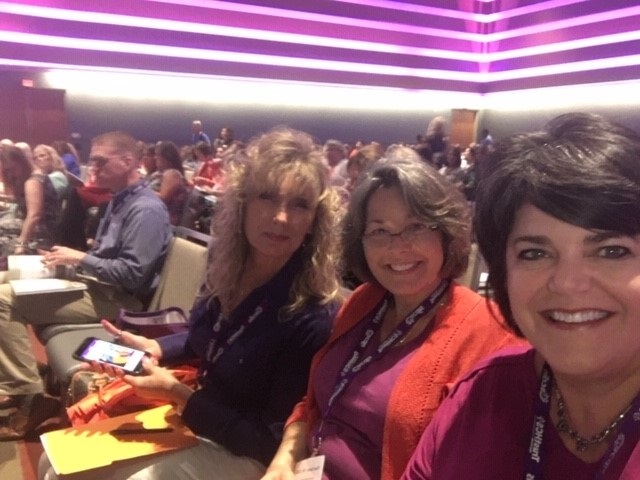 I really have enjoyed making new friends and catching up with our old CDI friends from other facilities. We were very active this past year in the Georgia chapter of ACDIS. One of our own, Marciann Robertson, was voted to the leadership team. Our facility was able to host a quarterly chapter conference in March, which gave me the opportunity to speak on clinical validity in the onboarding process. Sonen: Don’t ever feel like your training is over. Read and reread each new CDI guide, article, the coding guidelines, and Coding Clinics. Once you think you have it down, it will change. There will be a quality nuance, or physician perspective, or statistical relevance that you never understood before. The layers of the CDI role are like an onion. You must understand each one to get to the layer below it. Never forget, while sitting at your desk, delving into each record, that this is a chapter in the sacred life of a person. Those of us from nursing backgrounds went into nursing to care for people. We can continue that in the way we manage their personal information. Sonen: That’s so easy! A retired CDI specialist that works part-time remotely. Sonen: Before I could even drive, then throughout high school, I babysat for the sweetest little boy with multiple birth defects, who had to undergo surgery after surgery to be able to eat and walk. He was the real inspiration for my nursing career. He has since grown, married and has a successful job, and is still inspiring the people around him. Vacation spots: The beach—definitely Destin, Florida, and Sun Oak Cabin in Blairsville, Georgia (our family vacation rental). Hobby: Standup paddle boarding, hiking, and bicycling with an electric bike is a lot of fun—I can keep up with the kids! Non-alcoholic beverage: Protein shake for breakfast every day with instant coffee, almond milk, and Nutella blended in. Foods: BBQ, and chocolate cake. Sonen: My husband, Mike, is currently retiring from the National Guard. We have spent the last five years completely renovating the cabin, and it is an ongoing passion. Mike loves woodworking and making furniture, so we put a lot of love into it. We have three mostly-grown children. Michael is married to the lovely Caroline. They live and are going to school in Birmingham, Alabama. Sierra works for a landscaping company and is learning sustainability development. James is graduating high school this year, has joined the National Guard, and is planning to go to college in our hometown. We have a beautiful eight-year-old Husky named Kree Oakley, and a cat we just call Cat! ACDIS Blog: Is there anything else you'd like to add? Sonen: Don’t take your coworkers, friends, or family for granted, they are all one and the same.